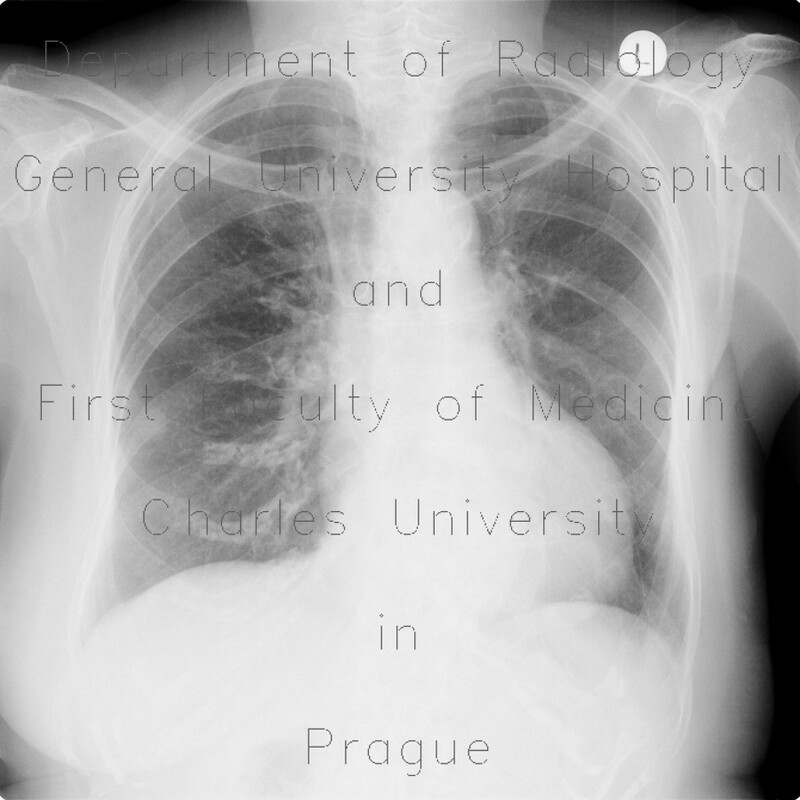 First chest radiograph in a patient with melanoma showed opacity in the periphery of the right middle lung field projecting onto rib crossing. Although the opacity appeared to contain calcium, CT was performed to rule out metastatic disease. CT showed that the lesion was a healed old rib fracture. Hiatal hernia was an incidental finding.